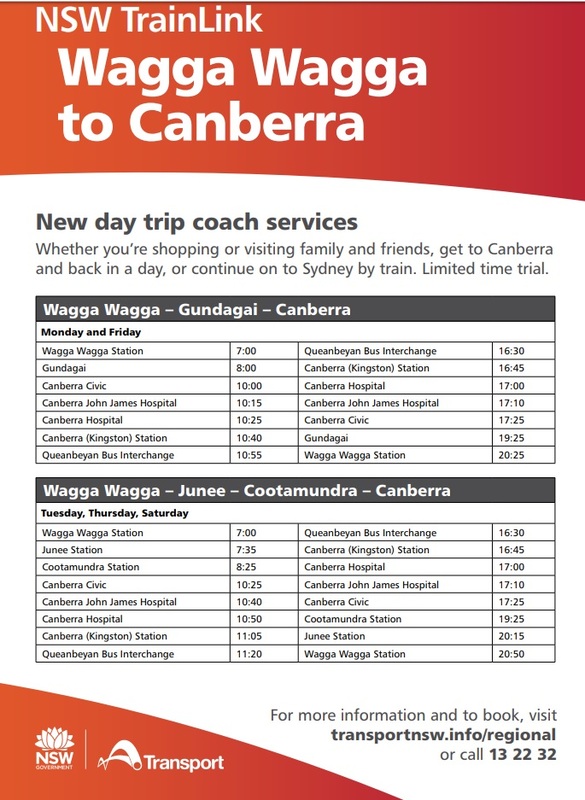 A new day trip coach service is being trialed between Wagga Wagga and Canberra. The service allows travelers to get up and back in one day. This trial, like others of its kind, aims to provide new connections for regional communities for commuting, so they can attend medical or business appointments, shop, participate in activities and visit families or friends. The service will run five days a week, stopping at Gundagai on Monday and Friday, and Junee and Cootamundra on Tuesday, Thursday and Saturday. Services are also running at at times that allow for Canberra - Sydney train connections.